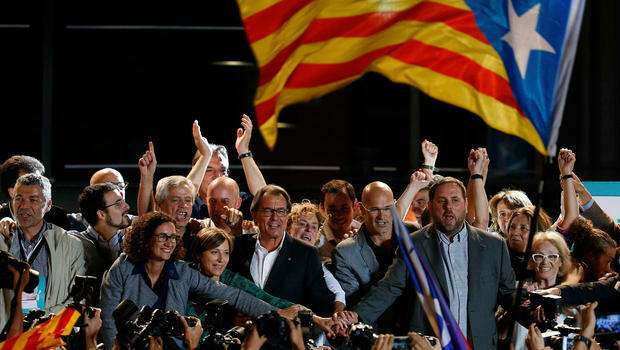 Catalans handed Spanish Prime Minister Mariano Rajoy an electoral defeat on Thursday as secessionists won a crucial snap poll called following a failed independence bid that rattled Europe and triggered Spain’s worst political crisis in decades. In a clear indicator of the huge gulf over independence afflicting Catalan society, anti-secessionist centrist party Ciudadanos won the biggest individual result with 37 of the 135 seats in the regional parliament. But unless the three pro-independence parties fail to clinch a deal to work together in the coming months, they will rule Catalonia with 70 seats — two less than their previous tally. Emboldened, separatists saw the vote result as vindicating their cause. “This is a result which no one can dispute,” deposed leader Carles Puigdemont said from self-imposed exile in Belgium. At stake was the economy of a region that has seen its tourism sector suffer and more than 3,100 companies — including the largest banks, utilities and insurers — move their legal headquarters out of Catalonia. The declaration came weeks after a banned independence referendum on October 1, which was marred by a brutal police crackdown.